I dont have many words to describe how cool this video is. On so many levels. A young Kanye is sitting at a table with his mother (who passed away a few years ago) rapping some of his old rhymes. This video shows you just how close their bond was. It also shows you how passionate she was about her son's career....listen and look at how she spits his rhymes! You can see where Kanye gets his passion from in this short clip. Its so cute when she says, "Its mad wack now though huh?" I just love it. I know it has to be hard for Kanye to be without her here on this earth, but memories caught on tape like this one are priceless!!!! P.S. 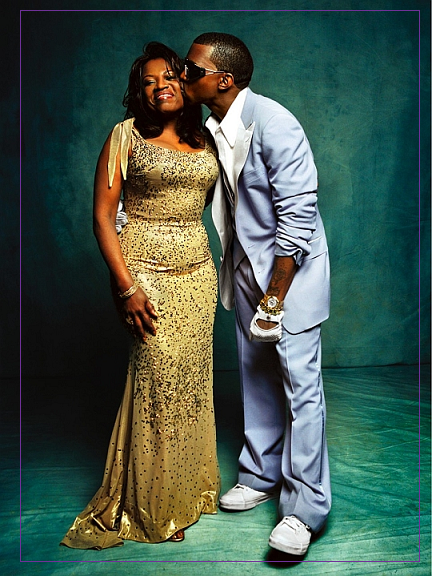 Kanye & his mama got that million! Nothing like a mothers support & love!